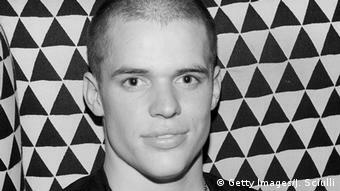 Swiss authorities said Friday that 23-year-old Johnny Strange had been killed in a wingsuit crash from the Alpine peak of Mt. Gitschen. Johnny Strange, a 23-year-old daredevil from Malibu, California has become the latest fatality in the extreme sport. Police in the Swiss canton of Uri said Strange made the jump from about 2,513-meter (8,245-feet) shortly after 12:00 p.m. (1000 UTC) Thursday when conditions were reportedly windy. He reportedly lost control in mid-air and crashed at high speed. Further investigations would be launched, officials said, noting that he was the second American wingsuit jumper to perish from the peak this year. Wingsuits are specialized suits that resemble human-size bat wings. The average jump lasts barely a minute and within eight seconds, the jumper reaches speeds of 200 kilometers per hour (120 miles per hour). But the jumps can be incredibly dangerous and require great preparation and skill in order for a jumper to maneuver a safe descent and not plunge to his death. Strange, originally from Malibu, California, had found fame at age 17 when he became the youngest person to ascend the so-called Seven Summits, referring to the tallest peak on each continent. Aside from Strange, the most prominent wingsuit-related fatality was the August 2013 death of Mark Sutton, a parachutist who performed in the opening ceremony at the London Olympics.